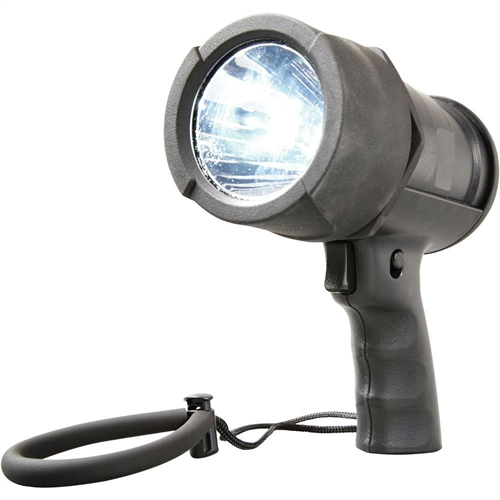 The Rayovac DIY6AASP-B is a virtually indestructible LED spot light with high performance LEDs providing an amazing 500 lumens / 360 meters (1180 feet) beam distance on high power mode , powered by 6 AA batteries (included). It's IPX7 rated to be submersible in water up to 1 meter for 30 minutes so you can take it confidently with you wherever you need to go. This light has durability you can count on with 15 foot drop test performance rating, shatterproof lens and reflector, and impact resisting internal design. 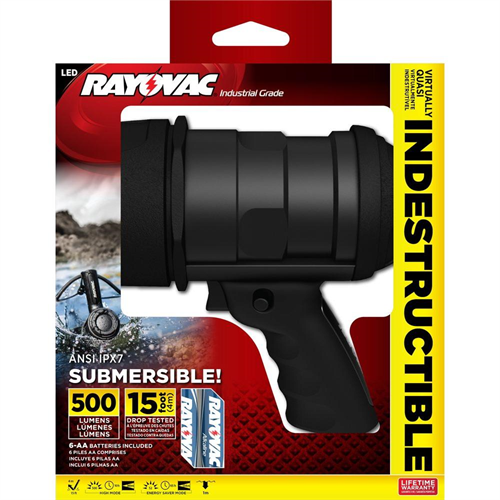 This quality product is backed by Rayovac's lifetime guarantee.